Obituary – Feken, Edward Charles « Perry High School Alumni Association, Inc. The 1991-92 Maroon Spotlight was dedicated to Eddie’s loving memory with the following poem. Edward Charles “Eddie” Feken, 16, died in a tragic truck-train accident on August 14, 1991. He was born Aug. 16, 1974, at Oklahoma City, the son of Eddie and Kathy Feken. He was enrolled as a senior at Perry high school. Feken had served as president of the Perry high school chapter of Fellowship of Christian Athletes. 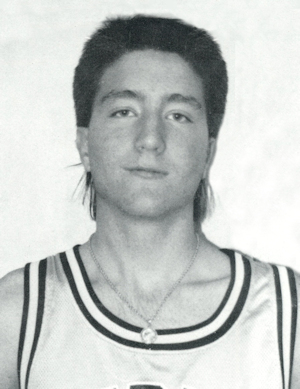 He had been a basketball player for 10 years and in December, 1990, had been recognized as a Player of the Week by Stillwater NewsPress. Feken also was active in baseball and football. He was a member and junior deacon at the First Christian church of Perry. In addition to his parents, of the home, survivors include sisters, Jana Feken and and Kari Tabbert; paternal grandparents, Mr. and Mrs. Ed Feken; maternal grandmother, Irene Webb; niece, Jordan Feken; and nephew, Trevan Tabbert. He was preceded in death by a grandmother and grandfather, Laura Feken and Charles Webb.